This is the view from my work. ya. WORK. I am so incredibly blessed with my job, my amazing and generous family, my dedicated and hilarious friends… the list goes on. Some days it’s almost too much. I feel so insanely lucky! I hope during this Easter season, everyone is embracing the things and people that they are thankful for. 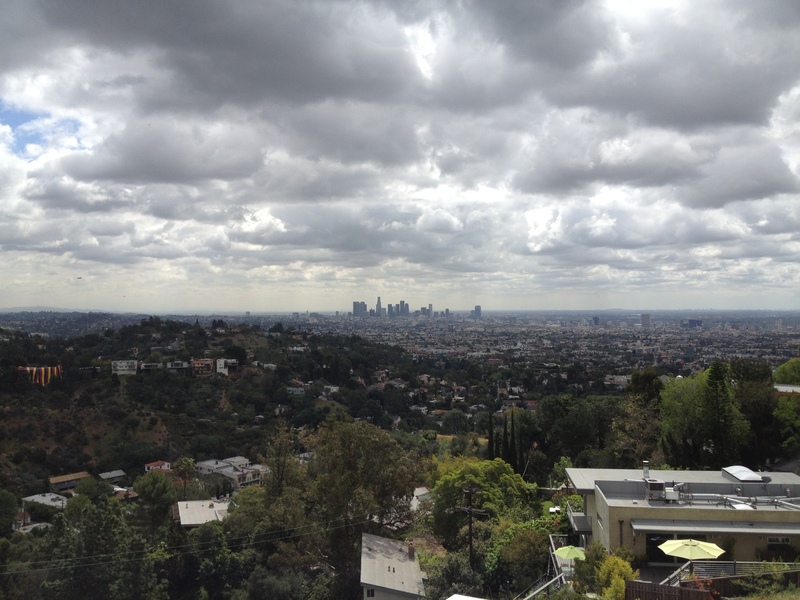 As you can see, its beautiful day in Los Angeles. A bit chilly. A bit cloudy. A perfect day for pasta. Yes. I said pasta. Granted, it’s pasta made from a vegetable, but I promise it’s even more flavorful and delicious than stupid gluten noodles (or worse gluten-free® noodles). Season your chicken with some salt and pepper and lemon. Grill or bake until cooked through. Run the peeler over the butternut flesh lengthwise, rotating to get all sides evenly. Stop when you start to peel into the seed part of the butternut bulb (you can keep peeling the top part, but be careful not to slice into your fingers!). Using a steam basket or just a pot with a small amount of water, add noodles and steam until tender but not mushy. Drain any moisture off the noodles. In a large bowl, combine noodles, cheese (optional), pears, chives, sage, olive oil, and salt and pepper. Chop the chicken and serve with the warm pasta.